Earn up to 816 reward points. Based on the original B40 but slightly more open. 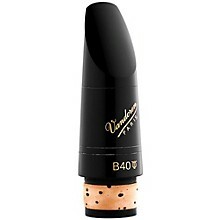 This mouthpiece is designed to use soft reeds without sacrificing the sound quality of a stronger reed (centered and compact).